As an undergraduate psychology major, I was required to take Abnormal Psychology, an ironically named class where I learned how common it is to experience some degree of mental health concern. I remember being surprised by how closely DSM diagnostic criteria fit the stories of those around me. I also remember realizing symptoms exist on a spectrum; just because something isn’t clinically significant according to a diagnostic manual, doesn’t mean it can’t still cause psychological pain. This past year, I had the opportunity to help launch Motivent Total Health, Thresholds’ multi-specialty group practice in the western suburbs of Illinois. As someone who has worked in a variety of mental health settings, I was excited to be part of this initiative as it represents a broadening of Thresholds services. Since 1959, the majority of Thresholds’ services have been focused on persons with a diagnosis of a severe and persistent mental illness. At Motivent Total Health, clinicians provide counseling to individuals dealing with more mild mood and anxiety disorders, major life transitions, workplace stress, and relationship issues. Launching the practice has reminded me of what I learned in that undergraduate class. People accessing varying levels of care may differ in the goals they are working towards and the barriers they encounter as they strive to achieve them. However, the path to change is consistent. Motivational interviewing continues to play an essential role in helping individuals commit to change. Acknowledging a person’s strengths and building on them is equally as integral. And it is similarly crucial to establish an individualized treatment plan aimed at assisting people with developing coping strategies. No matter the resources we assume a person may or may not have, mental health transcends all areas of society. This is why mental health treatment continues to be so important. Everyone can benefit from a safe environment where they can explore past patterns, navigate through life’s challenges, focus on reducing stress, and concentrate on living a meaningful life. 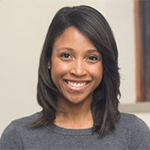 Jasmine Watkins is the Clinical Director at Motivent Total Health. She is a Licensed Clinical Professional Counselor with ten years’ experience working with adolescents and adults on a wide range of clinical issues including, anxiety, substance use, grief and loss, specific phobias, depression, relationship concerns, and issues related to major life transitions. Learn more about Motivent Total Health here. This entry was posted in Email, News, Social Media and tagged mental health, Mental Health Month, Motivent, Motivent Total Health. Bookmark the permalink.